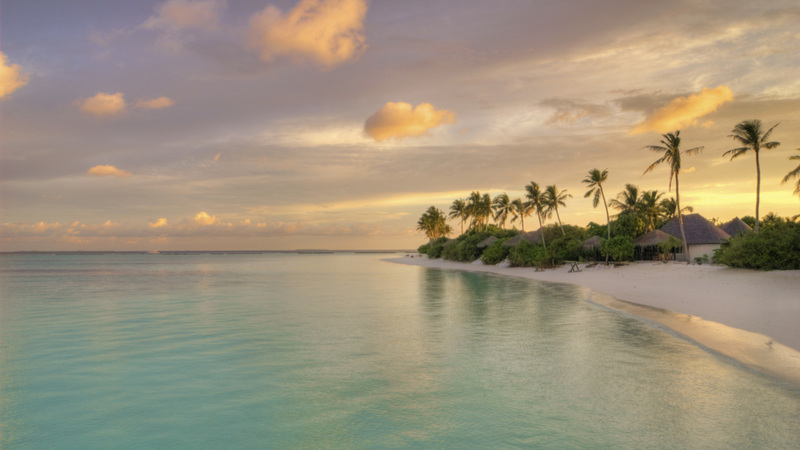 The Maldives is a gorgeous multi-island nation that has grown popular since the 1970s. Located in the Indian Ocean, it’s a far flight from the U.S. and typically attracts European and Asian tourists. And soon it will be increasing its American visitor count, as I’m planning my honeymoon there! But the Maldives isn’t an easy place to figure out. Each resort sits on its own island so it’s important to pick the right place. And with over 100 resorts scattered across the region, there are a lot of awesome options! Here are some things that I learned as I started planning. Vacationing in the Maldives is expensive, with minimal budget options. Almost all resorts in Maldives are four- or five-star island resorts going up to a higher 5+ category, even. Water villas at nicer resorts are in the $1,000 per night range, with costs at top resorts far over $2,000 per night. Other room options on the beach can be cheaper, but since the Maldives is known for the over-water experience, that is where I focused my search. Tax and service charges can also bring the nightly rate up considerably. Beyond resort charges, there is also an additional cost to get to resorts from the main Maldives area airport in Male (MLE). Resorts close to Male have speedboat transportation. However, the resorts farther away require a seaplane which generally costs $500 per person, round trip. I have seen some resorts offer this part of the trip for free during promotion periods. Since the flight from the U.S. is rather long, I’m planning to break up the trip by first stopping at another destination. Abu Dhabi and Dubai are easy options with regular direct flights from JFK (about 14 hours), and then require another four hours to get to Male. Since the Maldives is so remote, nearly all food is imported. This makes the price of food very expensive at resorts; for instance, a standard lunch could cost about $60. Luckily, many resorts offer dining options at a nightly rate, but these too come at a cost of around $200 per person. An important thing to note is that the Maldives is a Muslim nation, and alcohol is illegal except on resorts. This means that you cannot bring alcohol in luggage as it will be confiscated at the airport. If you like to drink a lot, make sure to pick an all-inclusive resort that has alcohol included. TripAdvisor is my go-to, but I found it to be misleading for the Maldives. Most resorts are rated 1 of 1 for their respective island, so I had to do general searches to get all resorts in the Maldives listed together. But even after this, reviews were very inconsistent. Since each resort is on a separate island, people who have only visited the Maldives once haven’t even seen any of the other resorts. My strategy was to read the “terrible” reviews and see if there were any solid tips to help with planning. An example of a helpful tip was when a reviewer pointed out that an island where all garbage is transported (named Rubbish Island) is close to a resort, with smoke within sight. It takes a bit of time to research, but at the end I believe it’s worth it! With Maldives’ pristine beaches and spectacular resorts, an overwhelming number of visitors say it is the most gorgeous place to visit in the world. I am still narrowing down my options, and eagerly looking forward to the getaway. Look out for a recap in a few months. And for anyone with tips, please send them my way!